This simple leather-backed device by Aslan leather will hold a packer securely in just the right spot while protecting your skin. 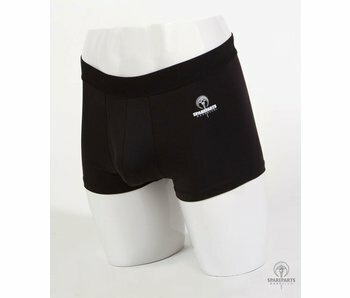 The 1.5" elastic waist band sits on your hips and wears discreetly under clothing. This item is used for holding a soft pack and is not designed to accommodate a stand-to-pee device (STP). 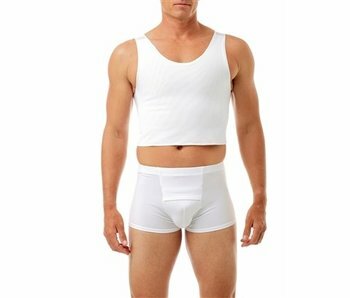 Short, square cut boxer briefs that give packers a realistic bulge.